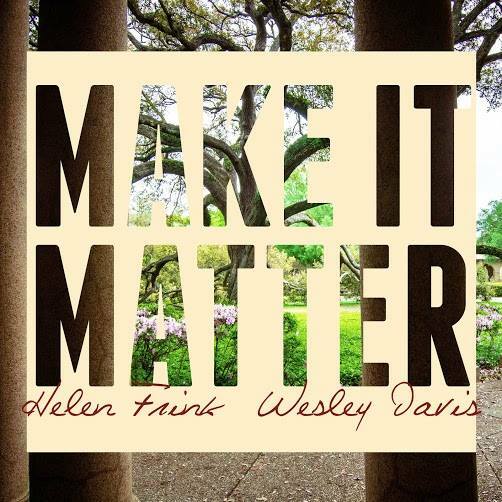 I am excited to have collaborated with Helen Frink & Wesley Davis, candidates running for LSU Student Body President & Vice President with their campaign "Make it Matter!" I was never too involved with student government campaigns while attending LSU, mainly due to my involvement with student media and wanting to remain unbiased. I did run once, during my freshman year for secretary of my college of Art & Design. I didn't end up winning my position, and the ticket I represented didn't win either. However, I learned a TON that spring semester and realized that it takes a lot of time, money, and guts to run for a leadership position at Louisiana State University. These campaigns are no joke, and the people who have the courage to stand up and "Make it Matter" are some of the most admirable students. I had the pleasure of photographing Helen & Wesley's campaign shots last Saturday, and their friendship totally explained their reasoning for running with each other as President and Vice President. Even though I have already graduated from LSU and I don't have much say in terms of voting for a student body president, I can say that I am honored to have my photographs be a part of such a meaningful campaign. I am excited that my photographs are being used on their website and social media accounts for a great cause! See some of my favorites below, and be sure to follow their campaign mission on their Website, Facebook, Twitter, Instagram, and YouTube!